Times are tough, and unsurprisingly, National City is full of powerful people with strong opinions on how best to handle them. 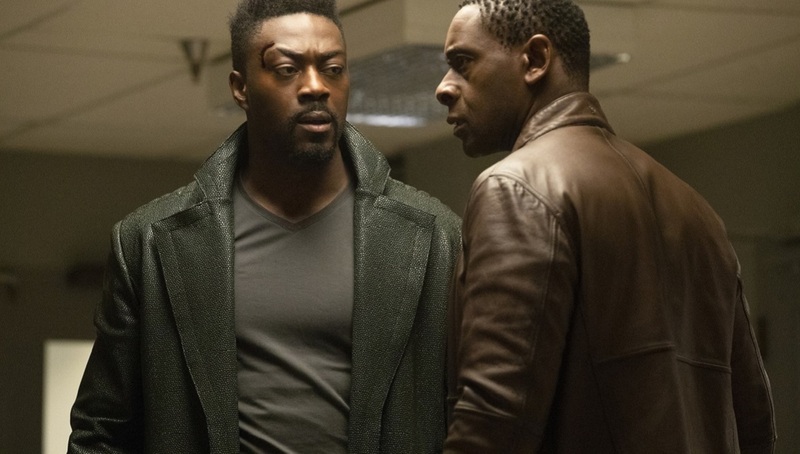 In next Sunday’s episode of Supergirl, entitled “Ahimsa,” J’onn J’onzz meets none other than Manchester Black (played by guest star David Ajala), who helps open his eyes to new ways he can help his fellow aliens. But if you’re familiar with Black and his classic Superman storyline, “What’s So Funny About Truth, Justice and the American Way?”, you know that Black’s way of doing things is a bit…misguided. Will Black become an entirely new threat to National City? Get your first look at Ajala in the role, plus a new look at Melissa Benoist as the “Red Daughter,” her Russian-born doppelganger. National City may be fearful of an alien invasion, but it sounds like they have more than enough threats from Earth. Supergirl airs Sundays at 8 p.m. (7 p.m. CST) on The CW.